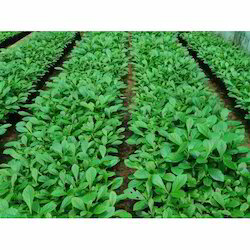 Being a well-acclaimed Supplier of Neem Plant, we make sure that our seedlings are germinated in favorable conditions. This makes sure that our Neem Plant will flourish into big trees with the passage of time. We offer Teak Plant to our clients as per their requirements and specifications.Teak Tectona grandis is one of the most valued timbers of the world. Its timber qualities include attractiveness in color and grain, durability, lightness, strength and ease of working and carving, resistance to termite and fungus and weathering. 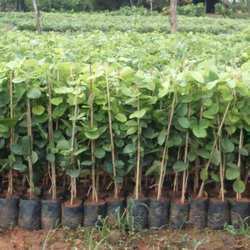 We offer Eucalyptus Clone Plants to our clients at the industry leading prices as per their requirements and specifications. These are genetically improved, fast growing and high yielding clones of Eucalyptus. Selection of outstanding candidate plus trees (CPTs) with most desirable qualities for cloning. Cloning of the CPTs through rooting of juvenile cuttings from coppice shoots under controlled environment in Green Houses, shade houses and high-tech root trainer nurseries and maintaining the separate identity of each clone at all stages. Establishment of gene banks or clonal multiplication areas for each clone. Field testing of these clones through replicated trials on different soil types for their comparative evaluation and selection of genetically superior clones for large-scale clonal multiplication for field plantations. The productivity of these clones is 2 to 3 times higher compared to normal seedlings leading to a bumper increase in profitability and large scale adoption of clonal plantations. Control pollination of outstanding clones to develop intraspecific and interspecific hybrids of Eucalyptus. Owing to the wide experience of this domain, we are instrumental in offering Melia Dubia Plant to our clients. 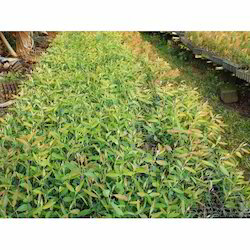 We are the leading and prominent Manufacturer and Supplier of HealthySandalwood Plants. 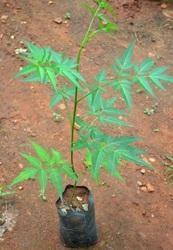 The Sandalwood Plants are germinated under suitable nursery condition and temperature using quality seeds. 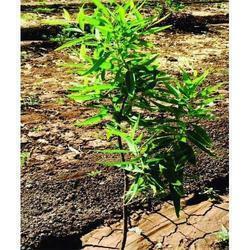 Sandalwood Plants are free from pests and diseases. In Indian tradition, Sandalwood trees are a special place and it used from cradle to cremation. It is also used in Cosmetics, Pharmaceutical, aromatherapy, soap industry, and perfumery so, the commercial value of sandalwood tree or oil is very high in the Indian market. Sandalwood has many varieties and these different varieties are available in the worldwide. Basically, there are two famous varieties of sandalwood which have a very high commercial value in the market. Sandalwood leaves are also used for animal fodder. Sandalwood is highly in demand in India since ages. 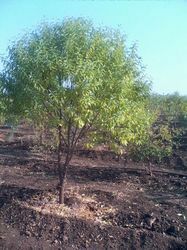 The plantations of sandalwood should, therefore, be a profitable investment. We provide our clients the best quality Red Sandalwood Plants. Sandalwood is a parasitic plant so it requires host plants to partner with. It is dependent on these host plants for its nutrients and water demands to achieve and sustain healthy growth. 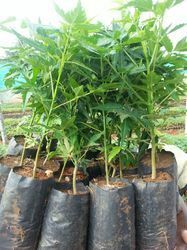 Nursery raised host seedlings such as mango or another suitable plant should be planted first followed by direct seeding of the Sandalwood nuts adjacent to these established hosts. Sandalwood is dependent on other plants for minerals and water but still needs sunlight to make its own sugars, which is why it has green leaves despite having roots which attach themselves to the roots of other plants. The parasitic roots will extend some 10m from the base of each sandalwood tree. The trees need a lot of light and are easily overgrown. The Sandalwood naturally is grown in southern states of India where soil pH is between 6-8 and climatic temperatures between 5-50 degree Celsius. Looking for Forestry Plants ?